A complete solution to cater all your Exchange EDB, Outlook PST, OST recovery and migration needs. You can recover all your mailboxes and data from corrupt EDB files and restore them without any data loss. It makes your recovery a quick and painless process, so that you can recover deleted mailboxes, even from the severe cases of Exchange corruption. 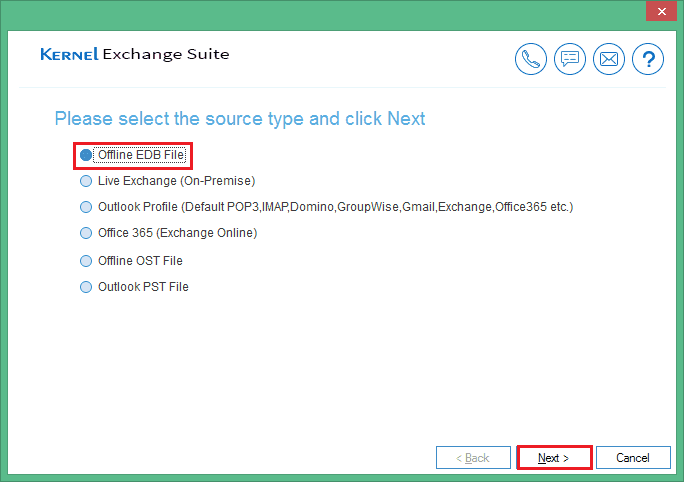 Convert EDB to PST file to access your Exchange mailboxes in MS Outlook environment. Our solution converts the entire data (including Contacts, Calendars, Appointments, Deleted Items etc.) and maintains the same hierarchy of mailboxes in the PST file. You also have an option to split large size PST file by using PST Split function. Mount your EDB database (EDB file) online Exchange Server, without interrupting your online users. You can connect multiple mailboxes at once (including remote logins) to migrate them simultaneously into Live Exchange. Recover your full data from corrupt and inaccessible OST files. You can repair your corrupt OST files and extract all folders/items (including deleted items) without altering the mailbox properties. A quick option to convert OST to PST file and restore all your data including lost and deleted folders to MS Outlook immediately. You can choose to convert OST to a new PST file or even an existing PST file, along with an option to automatically create new PST, when it exceeds the predefined size limit. You can conveniently export your OST data to different email clients like Windows Live Mail, Outlook Express etc., with the export options to MSG, EML file. Refine and export your important folders and items to the preferred destination using Filter option. Mailbox items can be filtered and restored based on item types and date range. You can fix all Outlook issues related to PST file with our product. It recovers all of the mailboxes from corrupt PST file, damaged due to the large size or other corruption reasons. You can restore the data to MS Outlook (to new or an existing PST file) with everything at its original place. 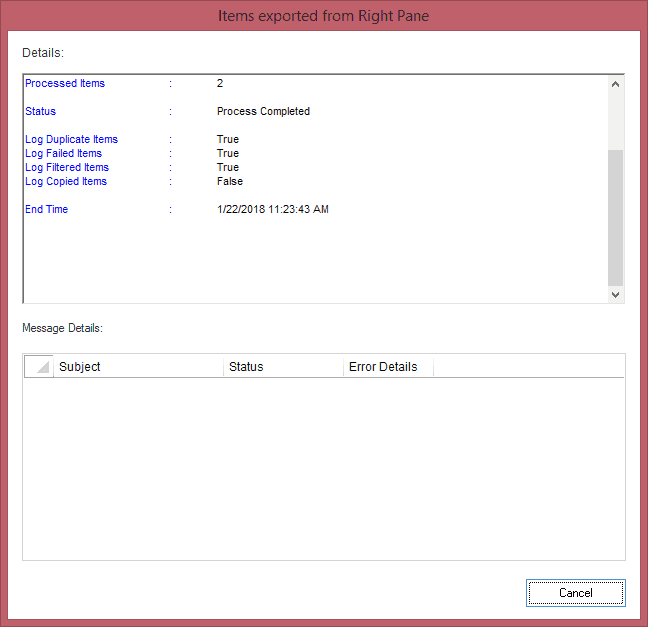 Export your Outlook PST data to various IMAP accounts (email clients) such as Gmail, Yahoo, Hotmail, Outlook.com, AOL etc. with the help of an existing MS Outlook profile, configured in live Exchange Server. Migrate single/multiple PST files to live Exchange Server, and Office 365 mailboxes with zero data loss. Our product allows you to save your specific folders and items from PST file to the desired destination using inbuilt filters. It allows to filter the items based on the selected date range and item type. Migrate single or multiple mailboxes (including shared mailboxes) from Office 365 account to another Office 365 account. The suite ensures accurate mapping of mailbox data from source to destination mailboxes to enable a quick migration process. 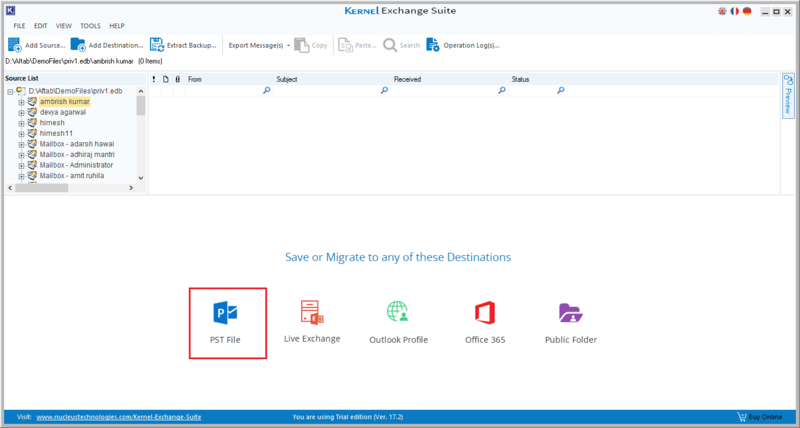 Migrate your user mailboxes (and shared mailboxes) from live Exchange Server to online Exchange Server. You can export public folders, archived mailboxes, single/multiple, and full or selective items of the mailboxes during the migration. 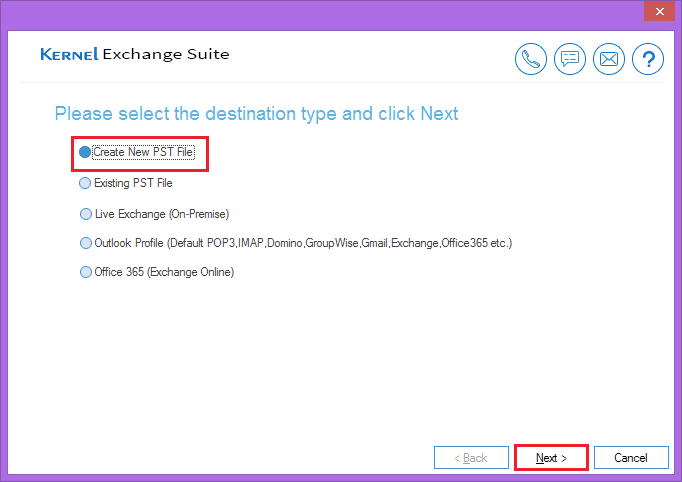 You can easily copy all mailboxes from live Exchange/Office 365 account, and paste them to the destination mailboxes, in a single attempt. Similarly, you can copy/paste specific folders from source to destination folder as well. The user has the authority to create a new mailbox in any version of Live Exchange Server from ‘Destination list’ of the software dashboard. Restore mailboxes from an existing or previously taken exchange backup. The suite has a separate Backup Extractor that effortlessly extracts backup files from various backup software (like Windows NT Backup, Veritas Backup, Symantec Backup, ARCserve Backup, and HP Backup), and then restore them to the user-defined location. Run a quick search for any specific message, or attachment within multiple mailboxes (from source) at once. The Exchange recovery tool has an intelligent search function that drills to the deepest level to find your messages based on the specific word/phrase, attachment size/type/name etc. Kernel Exchange Suite supports three languages – English (by Default), French, and German. The users can switch to their preferred language for the comfortable software operation. 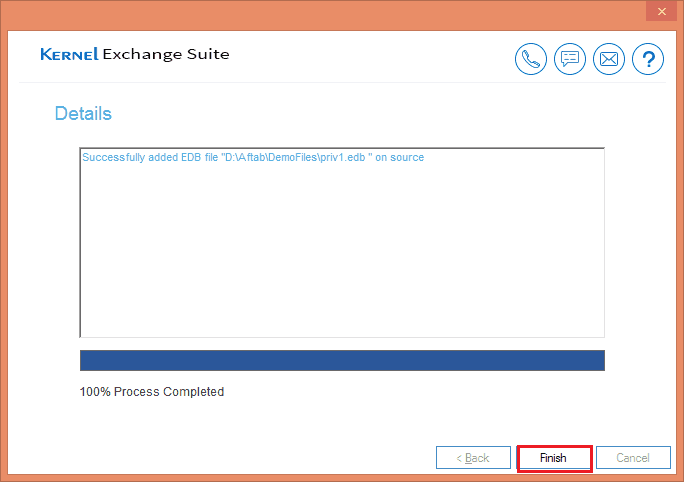 Extract the attachments from all/selective messages of live Exchange mailboxes and EDB file, and save them to the disk. The extracted attachment is saved in a separate file while retaining the original name, type and size. Preview full content of your mailbox items (like emails with attachments, calendar entries, contacts) before saving them to the desired destination. View the complete history of the operations that you have performed till date with their status and brief summary under Operation Logs. We had some old archived data in tapes and required to restore them. These data are early versions of MS Exchange mailboxes. 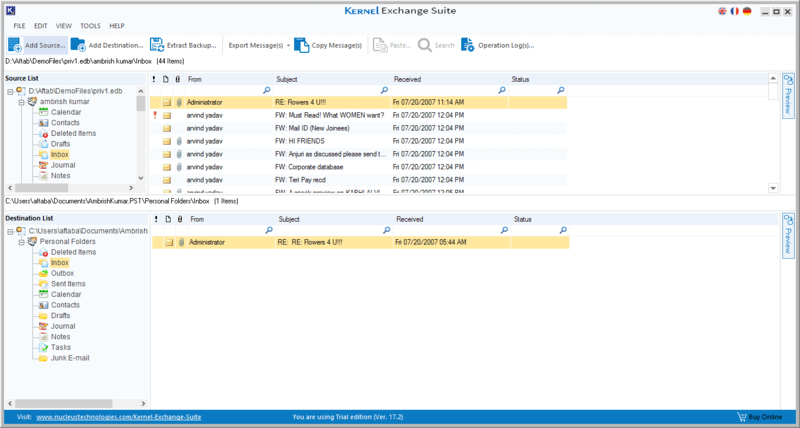 Kernel Exchange Suite enables us to rebuild a particular user mailbox without having to restore the entire archives, which is useful. 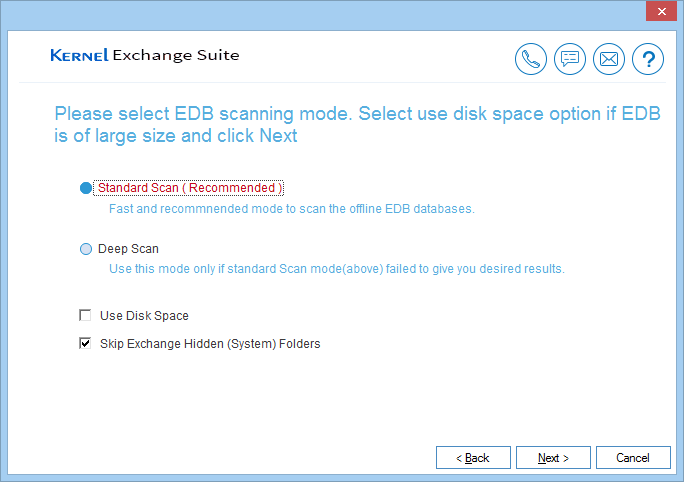 What is the file size limit for EDB to PST conversion? 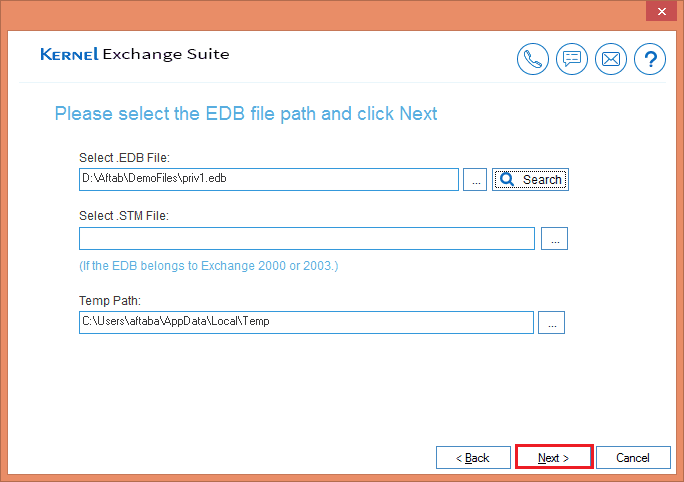 There is no file size limit to convert Edb file to PST. Even you can split the PST file into multiple parts after conversion. Can I export my EDB file to Office 365 with this software? Yes, Kernel Exchange Suite allows you to export recovered EDB file to PST, Exchange Server, and Office 365. Is this tool compatible with Exchange Server 2016? Yes, this software is compatible with all the versions of Exchange Server, MS Outlook, and Windows. Is this tool capable of recovering contacts and attachments in the EDB? Yes, you can easily recover all the data in an EDB file including contacts and attachments. The number of different types of migrations I performed using the software is more than 20. It is perfect for me. 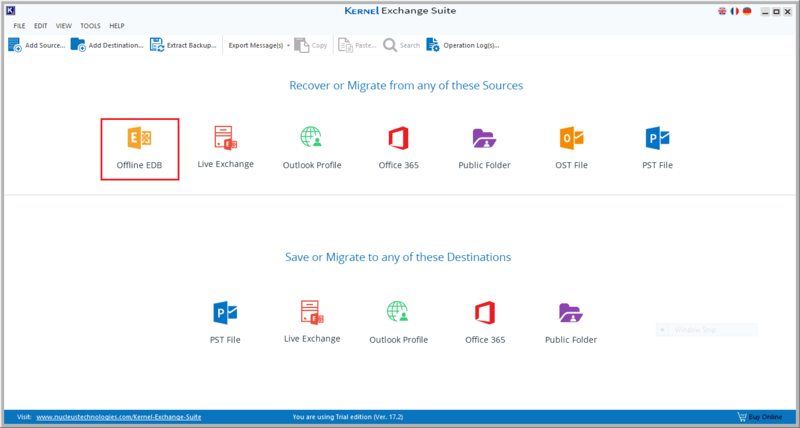 Best tool for any Exchange Server migration and recovery. I would surely recommend this tool to the professionals who are dependent on Exchange Server for managing their emails. Jacob Lawrence Here. I tried loads of time-consuming manual methods but none of them worked. A friend recommended me this tool and I am so glad I took his advice. Click Offline EDB icon in the Home screen. 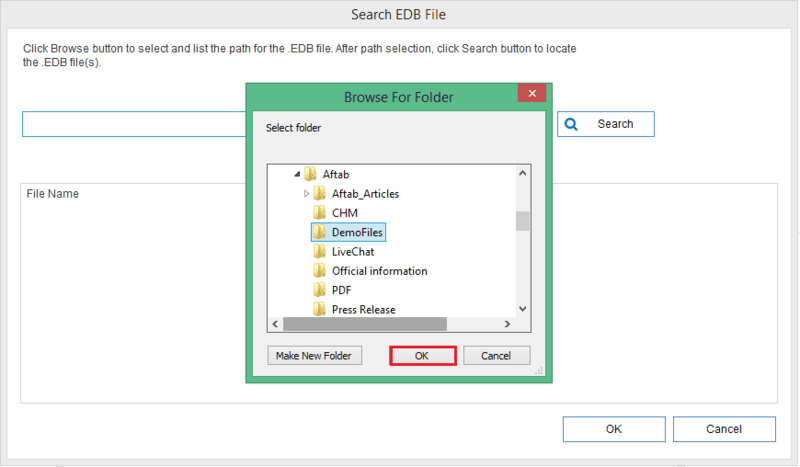 Select the first option of Offline EDB file. 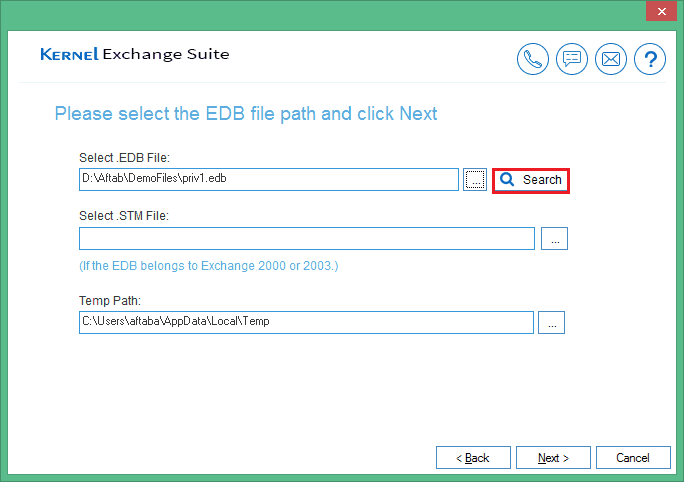 Browse the EDB file to its location. 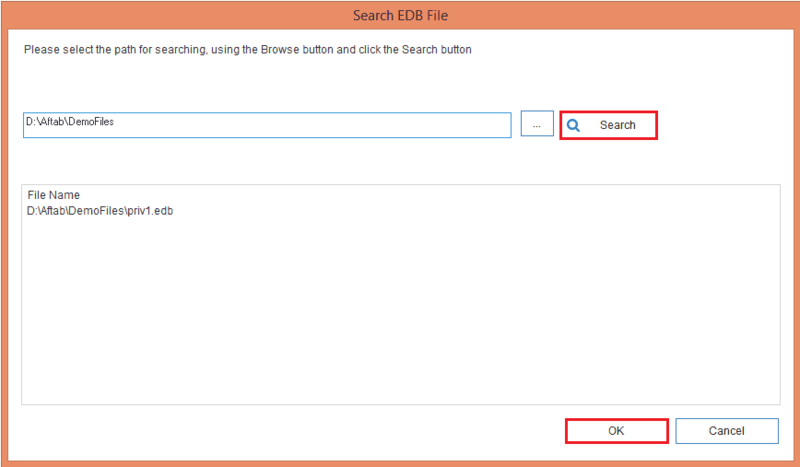 Search the EDB file, in you do not know its location. Click Next after selecting the desired EDB file. Use among two scan modes – Standard and Deep scan. EDB file is selected as Source. Click Finish. Click PST file icon in destination pane. 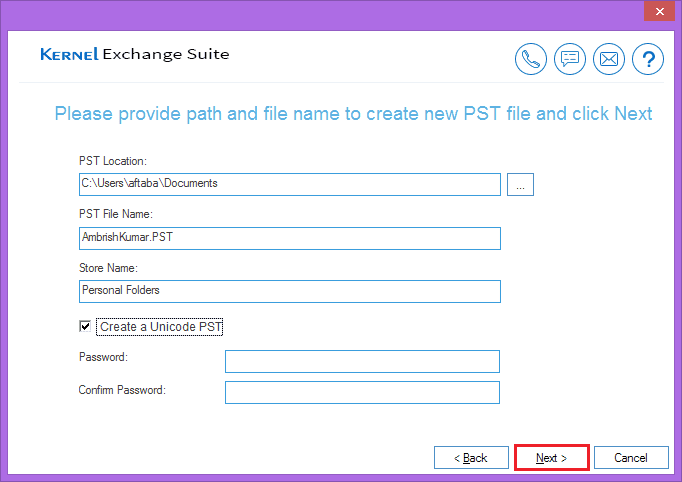 Select first option to create new PST file. Provide location, name, or special option to create a password. PST is added as a destination. Use, Copy-&-Paste, and Drag-&-Drop method to migrate mailbox items. Watch the complete migration report.